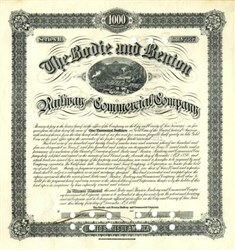 Beautifully engraved SCARCE certificate from the Bodie and Benton Railway and Commercial Company issued in 1886. This historic document has an ornate border around it with a vignette of a log mill site and railroad. This item is hand signed by the Company’s President ( Henry Marvin Yerington ) and Secretary ( Thomas Menzies ) and is over 133 years old. Punch cancellation through signatures. EF+. Bodie was one of the richest mining camps east of the Sierra Nevada at 8,500 feet. 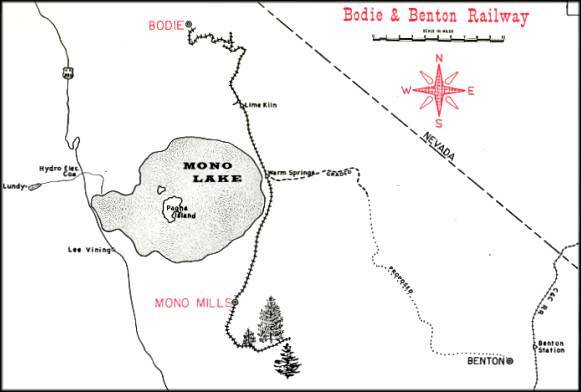 The Bodie and Benton Railway line was appropriately called "The Railroad in the Sky". It ran from Bodie, California to Mono Mills, California and had branches to the Woodyard and Standard Mine. Its length ran 36 miles. 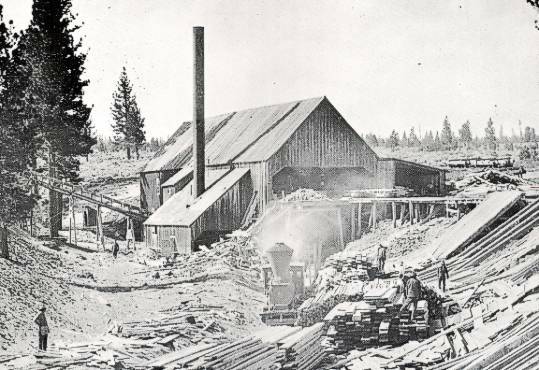 The Standard Mine was originally named the Bunker Hill mine in 1861 when it was first registered. In 1894, the town of Yerington, Nevada, was established near the Walker River in Mason Valley in the east-central portion of Lyon County, Nevada. Before being named for Henry Marvin Yerington, superintendent of the former Virginia and Truckee (V&T) Railroad, this community had been known by several other names including Greenfield, Willow Switch, Pizen Switch, and originally Poison. The initial name originated in recognition of a saloon owned by a Mr. Downey, who manufactured his own unique brand of liquor from frequently questionable ingredients. 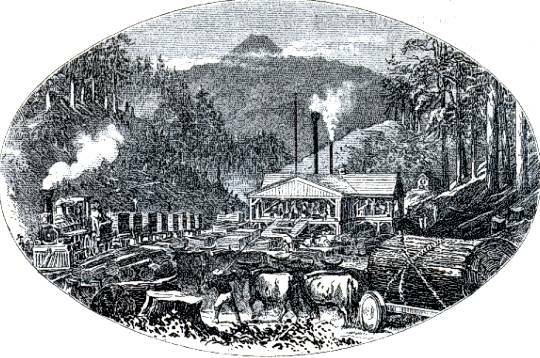 In 1894, community leaders wanted to attract a spur of the Virginia & Truckee Railroad and changed the name of the town again, this time to honor Henry Marvin Yerington, the railroad's superintendent. Over the years, Yerington has developed into one of Nevada's most important agricultural areas, with local farmers growing quality alfalfa, onions, potatoes and garlic. 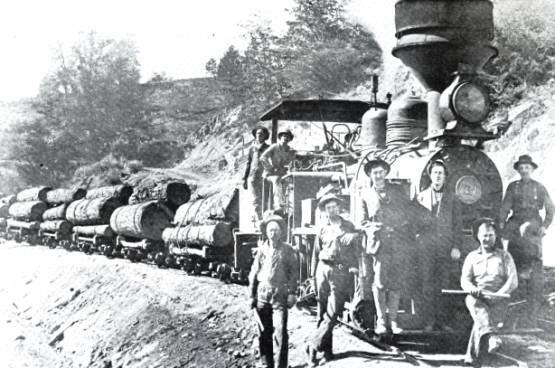 Yerington also worked for the Carson and Colorado Railroad Co. as president and was instrumental in forming it in 1880. He also was involved with the following companies: Belvidere Mining Company, Bodie & Benton Railway and Commercial Company, Bodie Hydraulic Mining and Water Company, Carson & Tahoe Lumber and Fluming Company, Central Consolidated Mining Company, Consolidated Esmeralda Mines Company, Dudley Mining Company, El Dorado Wood and Flume Company, Inyo Development Company, Juniata Consoldiated Mining Company, Jupiter Mining Company, Lake Tahoe Railway and Transportation Company, Natural Soda Company Limited, Real del Monte Mining Company, Savage Mining Company, Sierra Nevada Wood and Lumber Company, Southern Development Company, Sterling Mine, Syndicate Mining Company, Tioga Consolidated Mining Company, Union Mill and Mining Company, United Alkai Company Limited, Walker Lake & Bodie Toll Road Company, and Walker Lake Wood and Lumber Company.